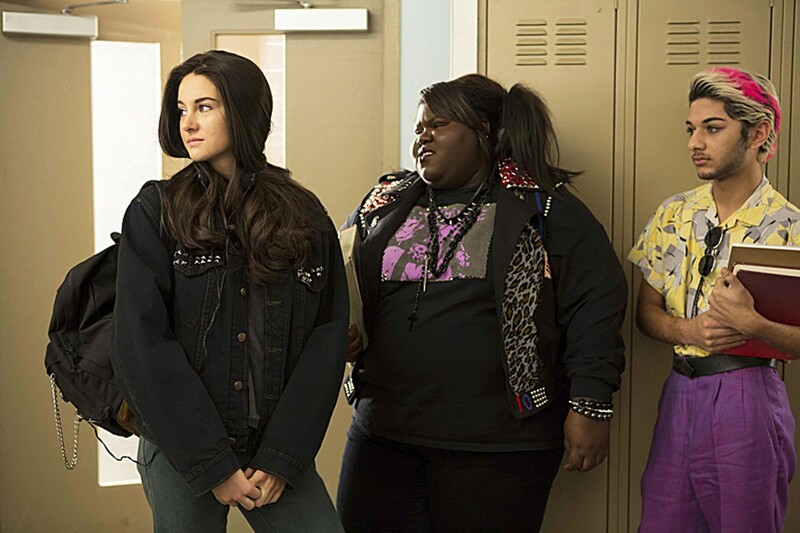 Shailene Woodley, Gabourey Sidibe, and Mark Indelicato look back to a certain decade. Rated R. Opens Friday at the Opera Plaza Cinema. Groundbreaking queer filmmaker Greg Araki has always been fascinated by the darker side of the American teenager, starting with 1993's Totally F*****d Up, and it continues with his lovely adaptation of Laura Kasischke's novel White Bird in a Blizzard. In a stifling vision of late 1980s suburbia that would also fit into a film by Araki's contemporary Todd Haynes, Kat (Shailene Woodley) is living one of the less-spoken American dream of certain teenagers: Her neurotic, deeply unhappy mother Eve (Eva Green) has vanished without a trace, right as Kat is discovering her own sexuality. Now alone with her milquetoast father (Christopher Meloni), Kat claims not to care that her mother is gone — other than frequently having dreams about her, buried in snow — but by the time she enters college, she realizes she has issues that must be dealt with, and questions that need to be answered. Araki's approach to the material is emblemized by changing the first dance between Kat and her boyfriend Phil (Shiloh Fernandez) from the book's Winter Formal — a setting that's been done to death — to a noisy club where Kat does authentic goth swoopy-dancing to Depeche Mode's "Behind the Wheel." It's those kinds of details, rarely seen in American movies, which make White Bird in a Blizzard special.